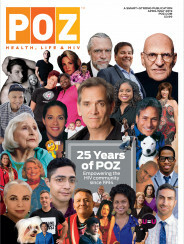 There’s a great article on Poz.com, written by the talented Mr. Bob Ickes. It examines AIDS impact at the Oscars. Check it out! Also, in my post-Oscar wrap blog, I mentioned that Heath Ledger wasn’t in this year’s “Death Montage” segment. That’s because he was there last year, since he passed in January of 2008.